Click a button; get a package. Place an order; receive a box. Two-day shipping. Immediate pickup. Same-day delivery. Waiting seems out of fashion. Customers’ ever-growing need for retail speed has companies scrambling. Whether it’s dining chairs, sneakers, birthday gifts, or fresh groceries, shoppers want more products delivered faster. How does all this expecting and demanding line up with the peace, patience, and self-control of Galatians 5:22-23? Is a constant seeking of “more” and “faster” a trait of the Holy Spirit-filled life? God says His children can depend on Him to “supply every need.” (Philippians 4:19) The Bible often encourages Christians to wait expectantly, not to rush—for hope, for deliverance, for the Lord, even for rain. 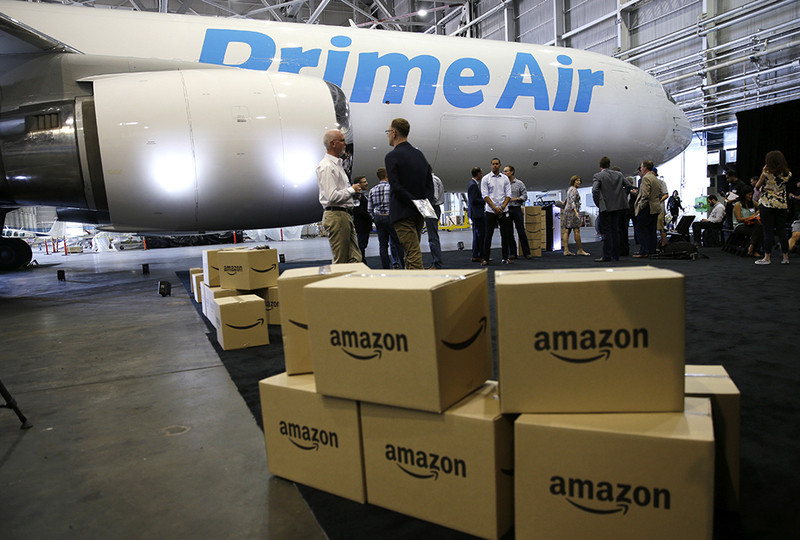 Online shopping giant Amazon may be partly responsible for raising shoppers’ expectations for near-instant gratification. Customers willing to pay extra can get almost any item delivered in just two days. That’s very different from the time when folks waited weeks or months for a Pony Express rider to gallop into town. 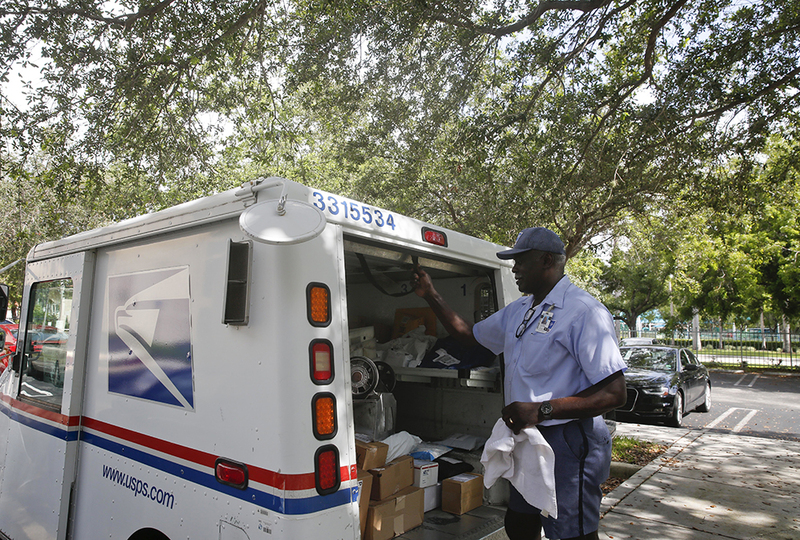 For some eager buyers, 48 hours seems too long to await a package. So companies allow antsy online shoppers to drive to a store, park in a reserved spot, and have their orders brought out to them. 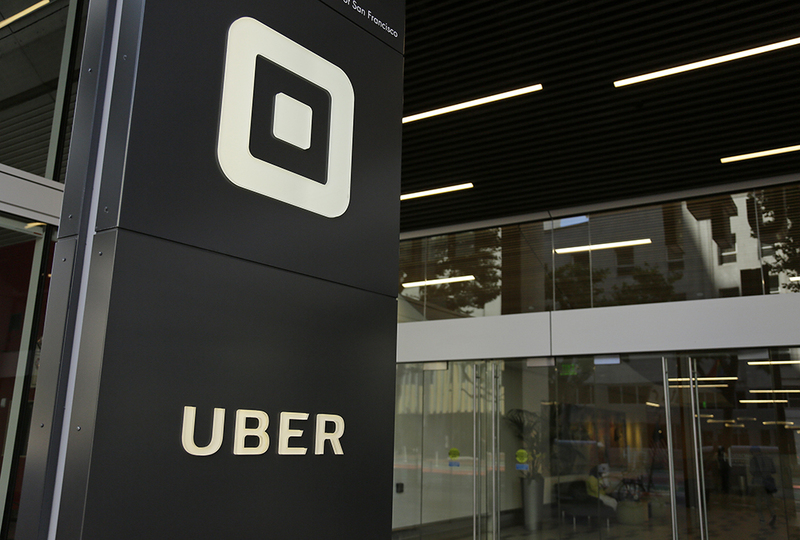 The latest scheme has store employees or ride-hailing services (like Lyft or Uber) delivering products straight to customers’ homes. Both Walmart and Target offer this same-day service so customers don’t even need to leave the house. But robots aren’t taking over home deliveries . . . yet. However, some retailers and restaurants are testing driverless cars for deliveries, among them Domino’s Pizza and Pizza Hut. Grocery chain Kroger plans to launch a self-driving delivery service by the end of the year. Customers will order groceries from a mobile app. 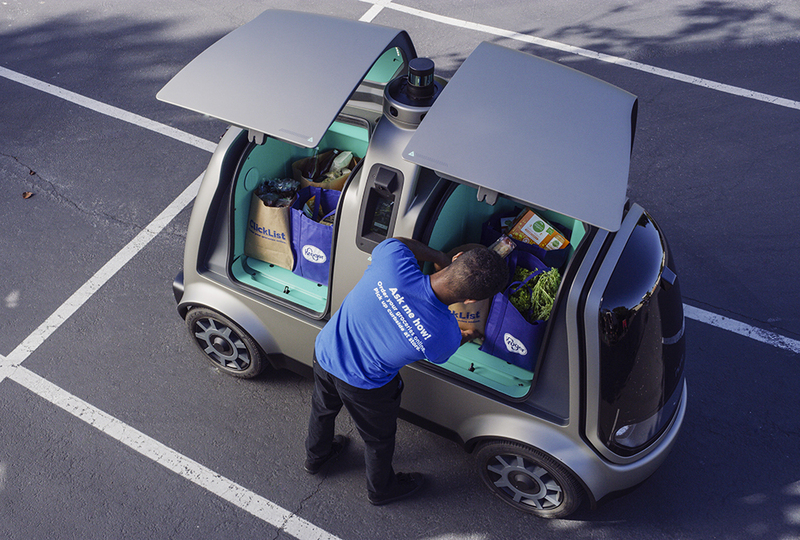 A driverless vehicle will deliver groceries to the curb. The customer will fetch the items using a numeric code to open the vehicle. Kroger’s driverless cars could allow supermarkets to reduce delivery fees and reassign car drivers to other jobs. Perhaps those reshuffled workers will slow down long enough to woo customers back into their stores. My mom would freak out if some robot car came to deliver her groceries! This is gonna be great! It would be freaky, but super helpful for people who live out in the middle of nowhere. what if you tried to order something and it wouldn't show, then you started to sell stuff through robots, it went missing. you lost money time and resources but they had it?? I think this could be cool. I personally think that Amazon already knows way too much about us, even with privacy policies and the like. Its a sinful world and companies are run by sinful people, amazon especially is starting to go down a darker path and the idea of them knowing what my house/car looks like or what I do every day (Alexa) freaks me out. Don't get me wrong I'm not against progress I just believe its not a very safe thing in any way. I do like the services Amazon has online (Prime Video, Music, Clothes an 100s of other stuff) but when it comes to my home or private life I don't want them to know more than they do already (which Im sure is quite a lot). Amazon seems to be pretty intrusive already, I don't think that I need anyone coming into my house to restock my fridge. I mean, they track what you HIGHLIGHT, for heaven's sake. Next thing you know, they'll be teleporting deliveries!!! I don't care so much about what amazon knows about me, I mean sure maybe they know what color my dog is but does it really matter? to me it seems like you have nothing to fear if you have nothing to hide. Speed is great, but self driving cars doesn't sound like a safe idea. And I don't think we want walmart workers in our house when we're not home. Delivery services help people with disabilities live a more independent life. If you are wheelchair bound and unable to drive, a delivery service that is reasonably priced makes an incredible difference in your life. 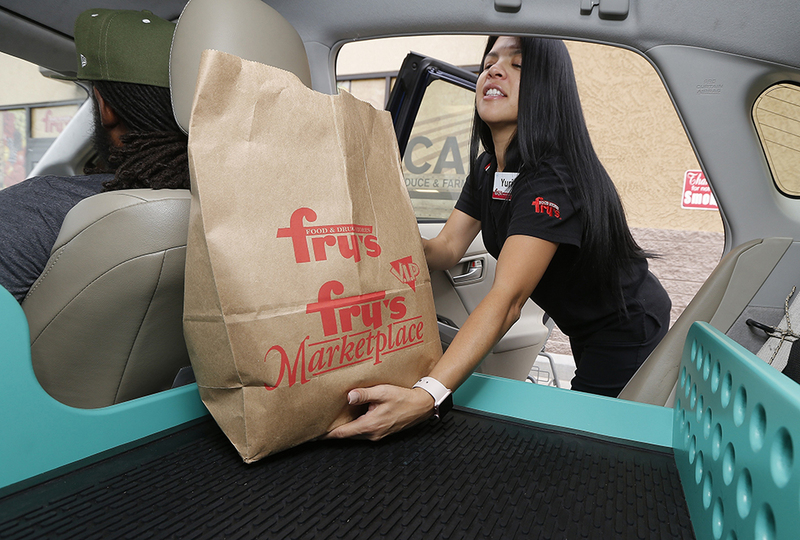 For some, it may be a luxury to have groceries delivered. For those with disabilities, it helps so that they can live independently. With the aging of the population, I think many senior citizens need these services, too. Relying on family or friends to help with shopping can be a solution, but people frequently have busy lives, travel, or activities that make them less than reliable. If automated vehicles lower the cost of delivery, then it is helpful for those who really need these services. You know, one day, if the rapture doesn't happen before it, we'll be run by robots. I think that this could be improved by having robots deliver the objects inside the houses. I would feel safer knowing that a robot would restock my fridge, because he probably wouldn't steal, (unless he was programmed to, and this could be checked), than a human that I didn't know. But I think that faster delivery is great. What if it can help!?!? THIS IS COOL! Bet even more people would be lazy, this is still good because the very ill people that don't have some person to help them would be able to buy some grocery's cloths etc............online. Bad idea! I don't what anybody or anything snooping around my house! no way i am letting some guy in my house so he can restock my fridge. some employee could steal my stuff! But how do we know they can be trusted? Id rather get my own groceries-personally. This might be one of the best ideas ever. That would be nice. I could get my lunch faster! However, someone could get run over by the autonomous vehicle. What if the car glitched? What if the car glitched? That could be dangerous, and spoil some food! About robots running over people, they could have sensors. that sounds cool and freak! i mean robot droping off your pizza!!!!! Freakie! WHY CAN'T PEOPLE JUST GET FOOD AT THE STORE!!!!!! it sound great for people who can't get out of the house, but people who can should! It's really cool but people will get really lazy if everybody uses them all the time. So cool! new tech! also freaky!